The Experimentarium building is designed for an innovation and high-tech museum centеr. The Experimentarium provides more than 2 000 sq.m exhibition areas, organized in three halls. The first interactive children’s centеr TechnoMagicLand (https://technomagicland.com) was opened in June 2018. The permanent exhibition is located on the second floor of the building (occupying approximately 1000 sq.m.) and is managed by the civil-law partnership between Sofia Tech Park JSC and the leading Bulgarian software company “Technologica” ЕАD established for that purpose. The Experimentarium is the place, where through exhibitions everyone may see the results of the scientific research and the technical transfer in the science and technology park. The new technologies, products and services, created by the incubated by Sofia Tech Park companies will be presented there, too. The Experimentarium will host exhibitions with versatile scope, dedicated to innovative services or products, to art innovations, technical equipment, devices and others. The Experimentarium may host showcases, events and educational activities targeted to fostering, facilitating and increasing public awareness of the research and innovation results. 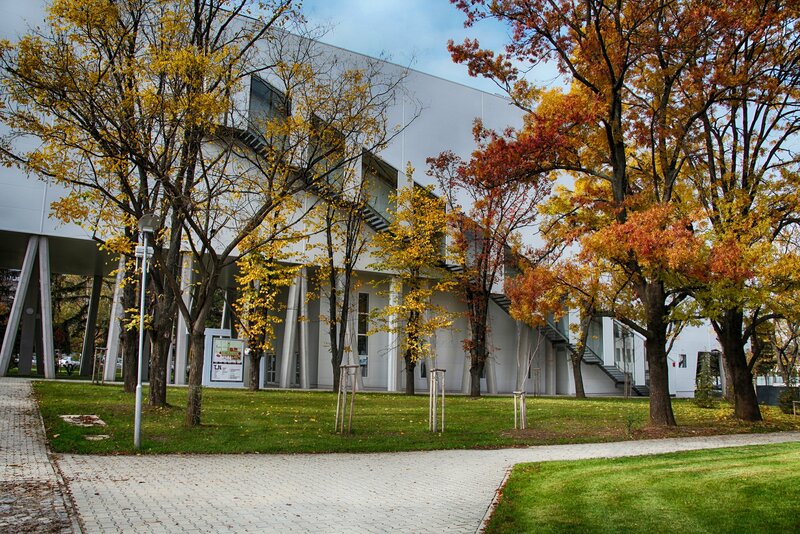 The Experimentarium building is located in a green-park area between Tsarigradsko Shousse Blvd. and the inner part of the science and technology park. The newly built pedestrian bridge over Tsarigradsko Shousse Blvd. connects the building to the Mladost living quarter, as well as to the public transport bus stops, which are located nearby. There is a multistory parking with 500 places in Sofia Tech Park.